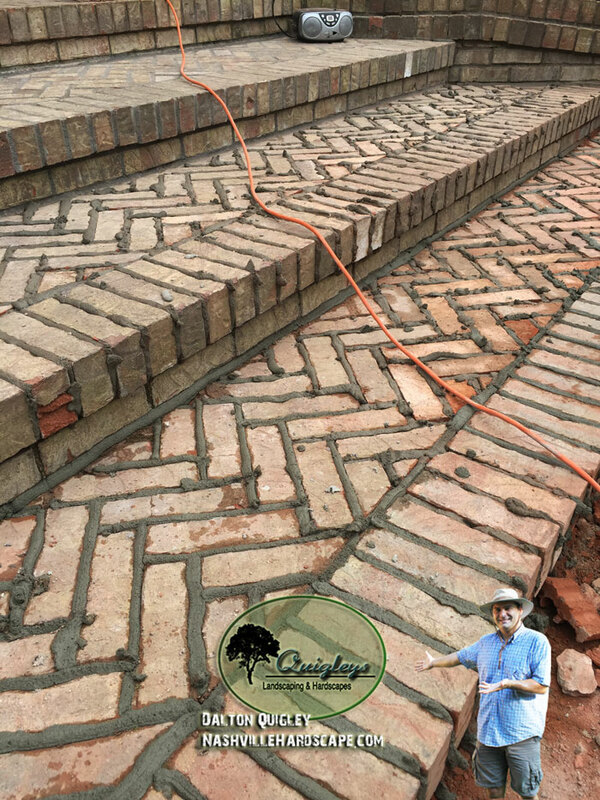 Nashville brick, and mortar repairs. The look of a place when everything is in order vs needed repairs. What statement are you making to guests who see the crumbling brick and mortar? Crumbling broken brick and mortar can be replaced with new matching brick and mortar. 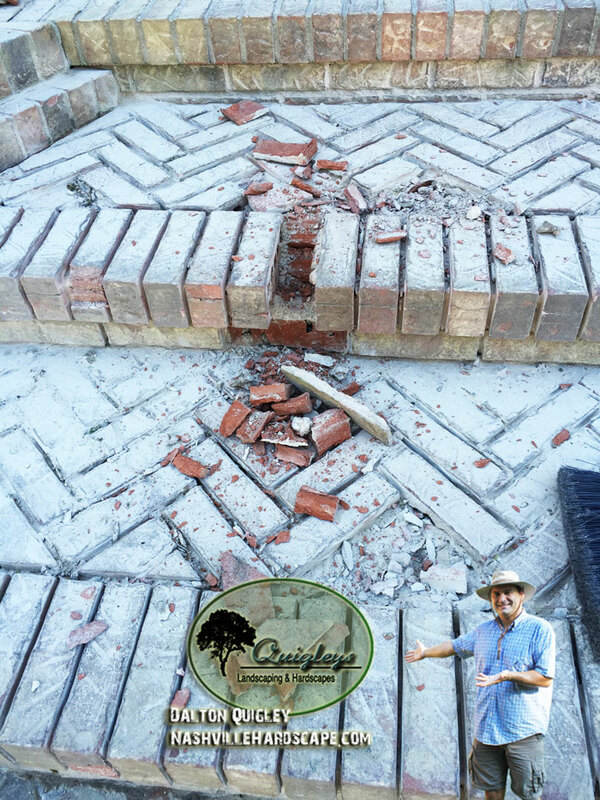 This client was stepping over and around several areas of broken and crumbling brick which was a trip hazard. 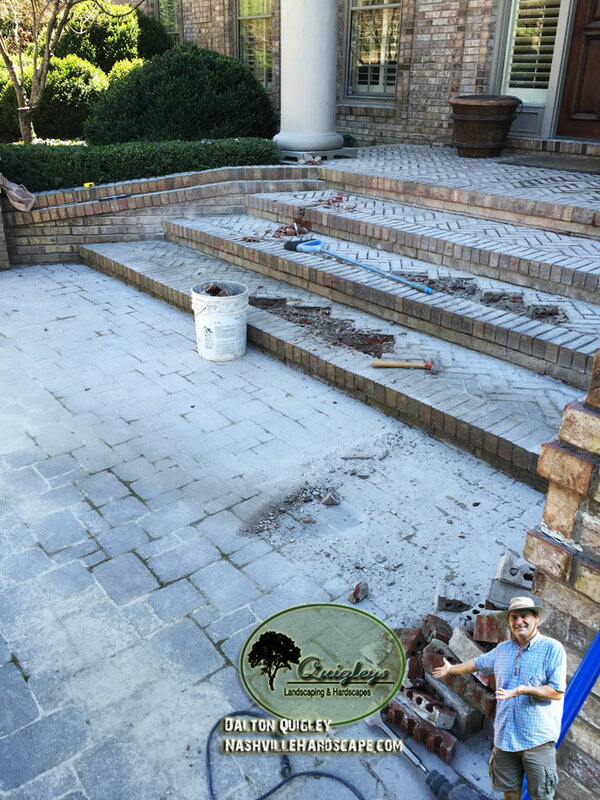 With diamond blades we are able to grind out the old mortar and replace it with fresh matching mortar. In the image below you can see the mortar that is drying. In the image below you can see the newly repaired matching brick and mortar. 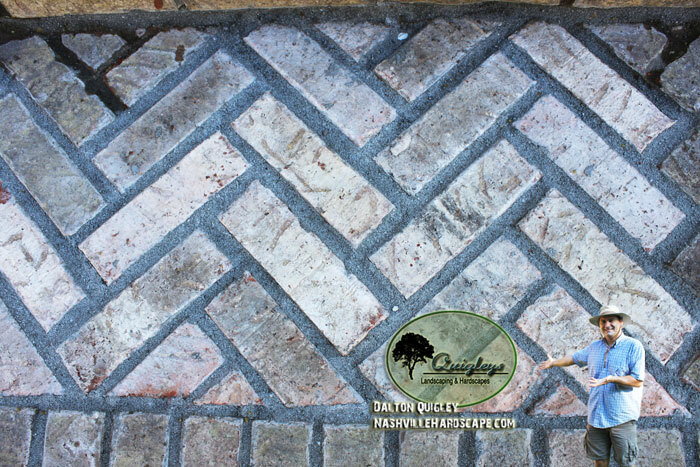 Service for brick repair areas : Nashville, Brentwood, Franklin, Spring Hill, and Nolensville TN. 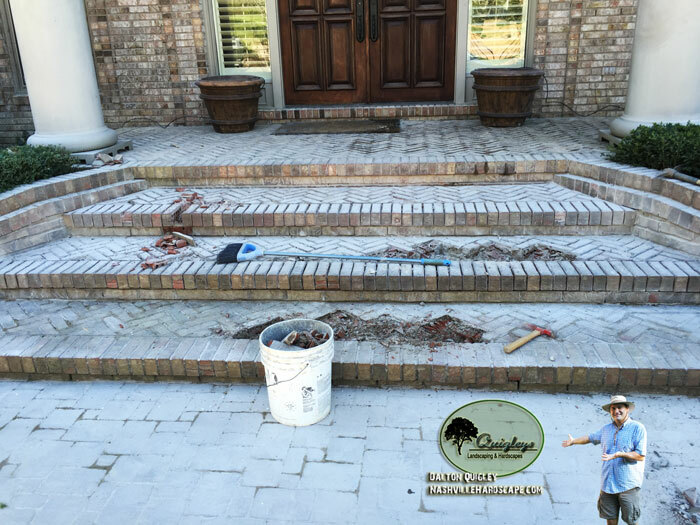 Whether it is a wall, steps, columns, or any area made of brick and mortar we will be able to repair it. 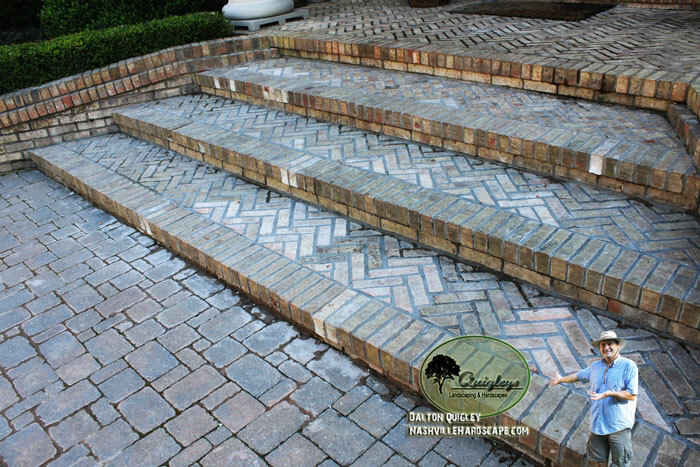 Repairing old brick and mortar can bring back the value and use of steps, walls, and columns. Thank you for viewing our page about brick and mortar repair.